According to the build sheets the body arrived at the Ferrari factory from Pininfarina on the 2nd May 1968, passing through the factory where the mechanicals were built and added to the car. Completed and delivered in August 1968, direct from the Ferrari factory, it was specified as right hand drive as the purchaser Mr V of Brussels, Belgium, apparently a second world war resistance fighter, had lost his right arm! The car was otherwise to European specification with KPH speedometer, finished in Grigio Mahmoud 244.3.931 with nero Franzi hide and dark grey- anthracite- carpet It was also specified with Borrani wire wheels The then UK list price was £8,563.3.11 plus road tax, delivery charges and number plates-exactly the same price as a 365 GTB/4 Daytona! The car was imported form Belgium and first registered in the UK, YBJ 803G, having been imported through Harwich docks, on the 9th September 1971 by Mr J R owner of Holbay Race Engines of Suffolk. Holbay were probably best known for their engine building and tuning work especially on Rootes 1725cc OHV engines used in the Hillman Hunter GLS and Sunbeam Rapier H120.The car was apparently used every day for the next four years .Circa 1973 the engine passed through the Holbay workshops, with crankshaft being ground .Mr R then developed a passion for aircraft with the car being rarely used. Unfortunately Mr R was killed at Parham airfield in Suffolk in a vintage Fokker aircraft in 1997.Mr R's Will took a while to resolve,not least due an unknown son being found-and the car passed into the ownership of his then son in law, Mr J S of Somerset on the 1st December 1999.Mr S had apparently met Mr R, presumably along with his daughter, upon his arrival back in the UK with the car at Harwich docks. He had also been persuaded to give Mr R the registration number 331 VF from his motor bike, for the Ferrari. This registration number was returned to Mr S in 2008. The car remained with Mr S for just over five years, when it was purchased by Mr S W of Essex, on the 14th October 2004.Mr S sent the car to Terry Hoyle then of THRE in Maldon, Essex. It seems that after THRE started work on restoring the car THRE folded and work stopped. The car was put into store where in remained until purchased by Mr A S also of Essex , and co-owner of Wolfrace wheels in September 2008. The engine was sent to Terry Hoyle, who personally rebuilt it, whilst the rest of the restoration project was supervised (500 + hours over 18 months) by Mr Barry Tolhurst of Lancaster Garages. The bodywork and bare metal re-spray was carried out by Mr Peter McCulluch of Bodytek, Essex. The restoration was documented in a number of articles in Essex area Ferrari owner’s club magazine and the Ferrari Owners Club magazine during 2008.The car was registered to Mr S on the 25th August 2008. The cars penultimate owner Mr M C, a retired accountant from Dorset, bought the car from Mr S on the 9th April 2010 with 93,000 kms/58,000 miles, where it joined a small private collection. Purchased by the last owner from Surrey in July 2014, with 94.700kms/59,187miles. Prior to delivery ,Ferrari specialists SMDG carried a major service-, including re torquing of the cylinder heads, and checking/adjusting the valve clearances. The gearbox was removed stripped and worn synchromesh/bearings replaced. A period looking radio was also sourced and fitted, with Bluetooth capability . 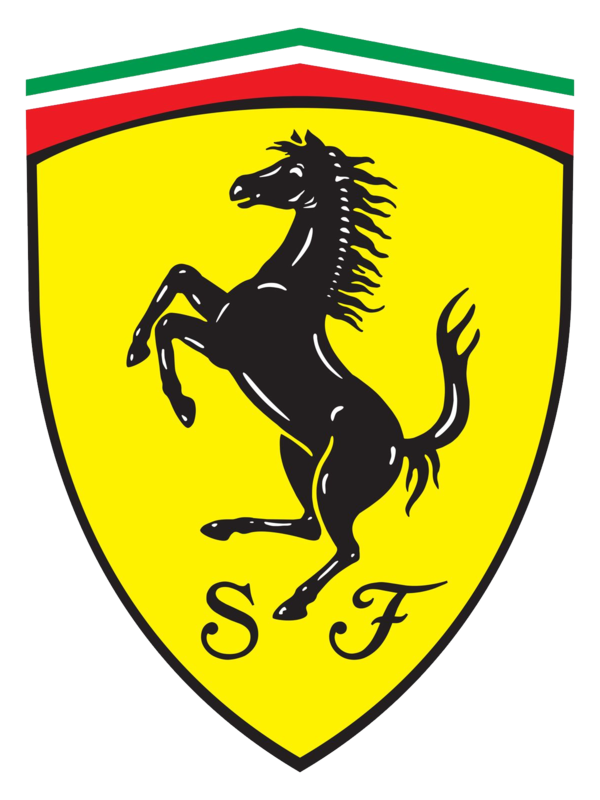 THE CAR HAS JUST PASSED THROUGH AND BEEN GRANTED FERRARI CLASSICHE STATUS. The car is complete with a large file of past invoices, correspondence, past MOT certificates and photographs –including a CD of photographs-of the restoration. PLEASE NOTE THAT THE LEATHER HAS BEEN REFURBISHED SINCE THESE PHOTOGRAPHS WERE TAKEN.